Omaha Local Contractor since 1975 Roofing, Replacement Siding, Windows, Doors, Gutters, Siding Repairs, Decks and More. Call us for a free no pressure estimate Today! Roof restoration in Omaha This is a Tamko roof replacement project completed in 2015 from wind damage the Roof restoration was Located in Omaha This is a Tamko roof replacement project completed in 2015 from wind damage. 6″ commercial size guttering to solve some gutter leak problems. This is a Home in Omaha Nebraska that We installed Revere double hung Vinyl windows with aluminum screens and Royal 25′ 6″ Vinyl siding with 3/4″ white bead board foam insulation. Pella wood Aluminum Clad Casement Windows Omaha installed by Associated Siding and Remodeling Omaha Pella Windows and Doors we also did the siding on this house with Mastic Vinyl Siding Omaha . We put Tamko 3-tab Shingles on Roof of this home . 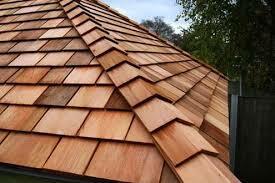 We also install Red Cedar Roofs Just ask! Velux Skylights Help Light Things Up. You can See the Sunlight Shining on the Green House. Butler Cabinet Installed by Associated Siding and Remodeling. Along with the Black Laquer Finish, Beveled Glass Doors, Mirrored Back (Let’s Just Say It Is Fancy) Butler Cabinet. The Kitchen has White Laquer Finish with Black Accents, Granite Counter Tops and Custom Diagonal Tile with Black Accent Squares. This is Revere Steel Siding used to cover an Overhang so it Matches the Revere Cedarwood Finish Steel Siding Done By Assoociated Siding & Remodeling in Omaha Ne. You won’t Find a Lot of houses Done Like This.